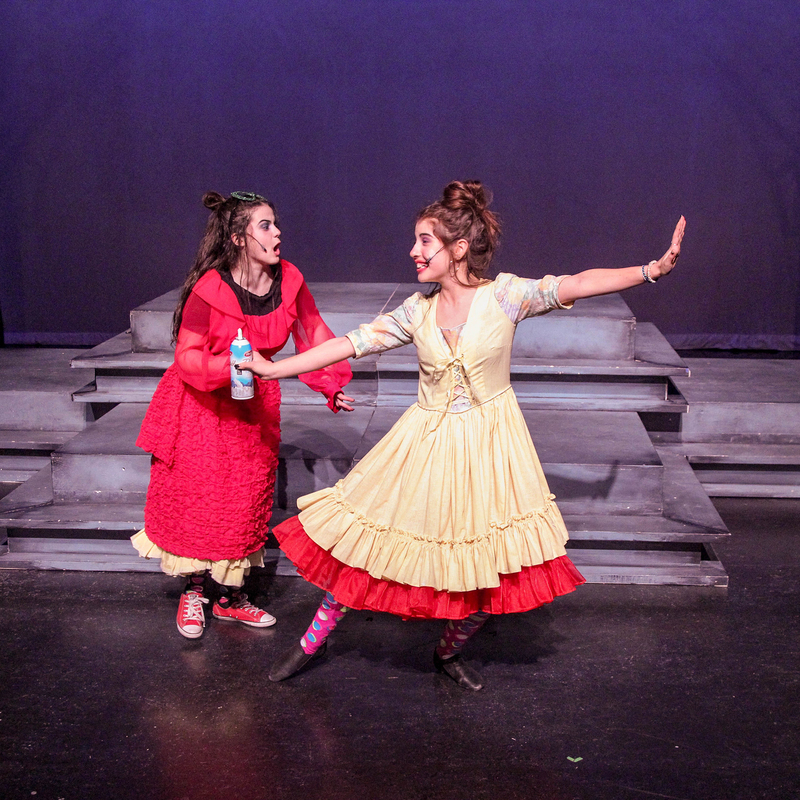 Bravo Academy’s Troupe Program began in 2006 with a single Teen production of Cinderella. Over the past ten years, the program has expanded into five Troupes working with hundreds of students age 7 to 19. 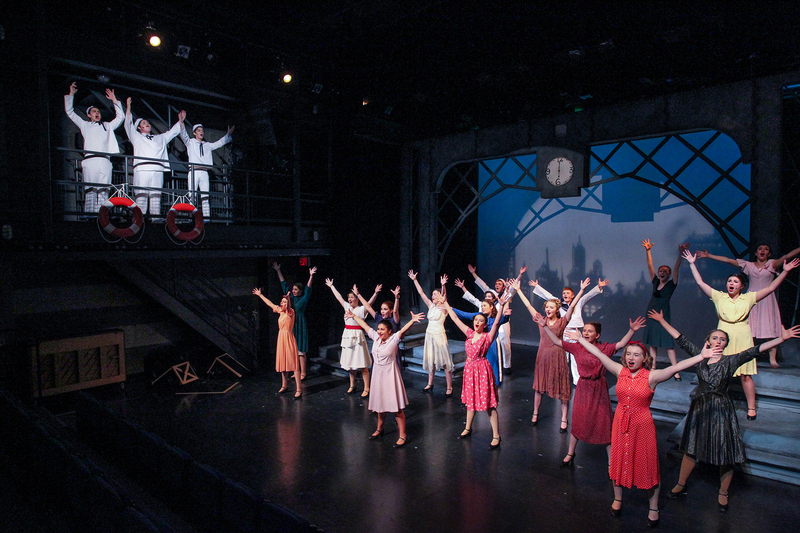 Bravo Academy has produced MORE THAN 150 FULLY-REALIZED PRODUCTIONS. 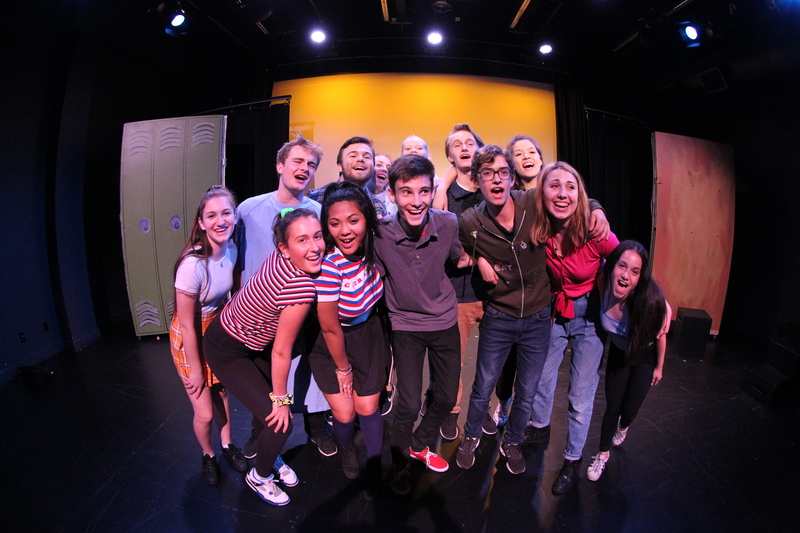 Bravo Academy Troupe students and alumni have been seen on Broadway, at the Stratford Festival, in Mirvish Productions performances, at the Sterling Festival Theatre, at the Lower Ossington Theatre, in feature films, Netflix Originals, and television. Bravo Academy Troupe students and alumni have been accepted to such prestigious institutions as: the National Theatre School; Sheridan College (Music Theatre Performance); St. Lawrence College (Music Theatre Performance); Randolph College for the Performing Arts; Capilano College (Musical Theatre); University of Oxford; NYU Tisch School of the Arts; New York University; Columbia University; Ball State University; Berklee College of Music; the American Musical and Dramatic Academy (AMDA); the Chautauqua Institution; University of Toronto (Faculty of Music); University of Western Ontario (Don Wright Faculty of Music); Queen’s University (Dan School of Drama & Music); Ryerson University (School of Performance and Creative Industries); York University (Faculties of Drama and Music); St. Clair College (Music Theatre Performance); Wilfrid Laurier University (Faculty of Music); George Brown College (Theatre Arts, Dance); and more. 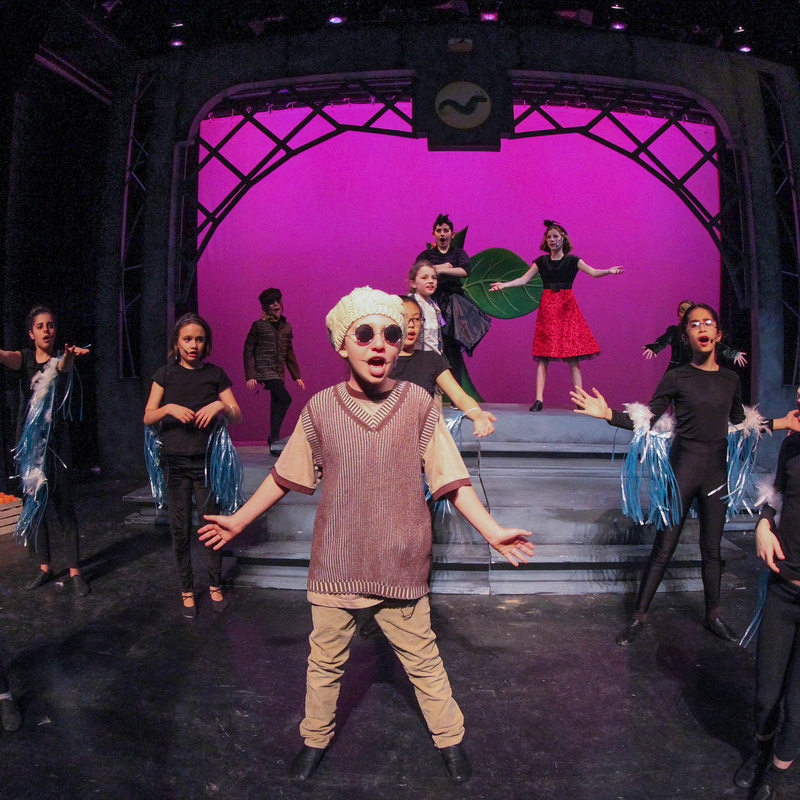 Our students are fortunate to work with some of the best teaching artists in Toronto, whose experience range from local professional productions to Stratford and Shaw Festivals to Broadway. 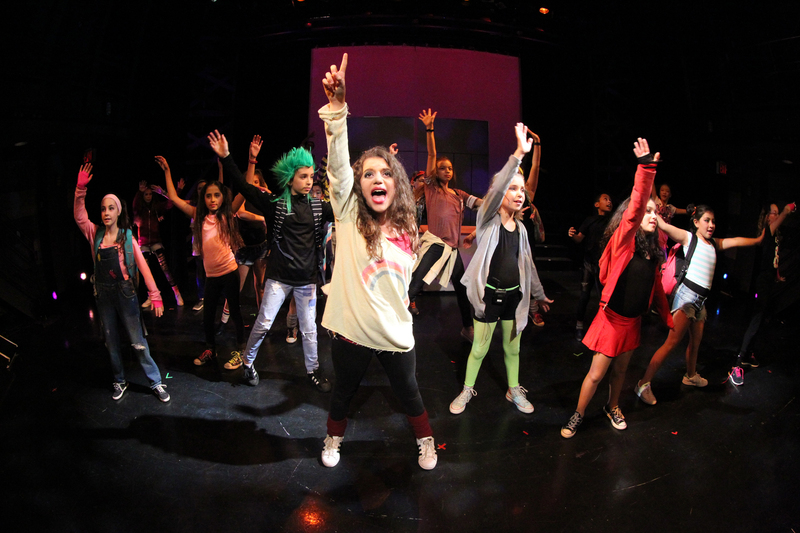 Bravo Academy also regularly invites guest artists to teach workshops and master classes. Past master classes have included Bob Martin (Tony Award-winning writer of The Drowsy Chaperone), Michael Rubinoff (Producer/Creative Consultant of Tony Award- and Olivier Award-winning musical Come From Away), Mitchell Marcus (Artistic and Managing Director of Musical Stage Company), Shawn Wright (Dora Award-winning actor featured at Stratford and Shaw festivals), Robert McQueen (Dora Award-winning Director, Broadway Associate Director), and Brian Hill (author of Broadway musical The Story of My Life, Associate Director of Disney’s Broadway The Little Mermaid and The Lion King). Each production starts with role placement auditions. For every show (1-2 per year, depending on your Troupe) students are asked to prepare selected materials and audition for our artistic team. All casting decisions are made by the Artistic Panel (Director, Music Director and/or Choreographer). Much time and careful consideration is taken to ensure that we place students in roles that suit their voices (within their vocal range and voice type), are dramatically appropriate and comfortable and if required, have applicable dance background. Each show is unique and has different vocal, dance and dramatic demands. For example, one type of singer may be very well suited to a role like Maria in West Side Story and not well suited to the role of Elphaba in Wicked. Or, a strong singer with limited dance ability would struggle with a heavy dance role like Billy in Billy Elliot. 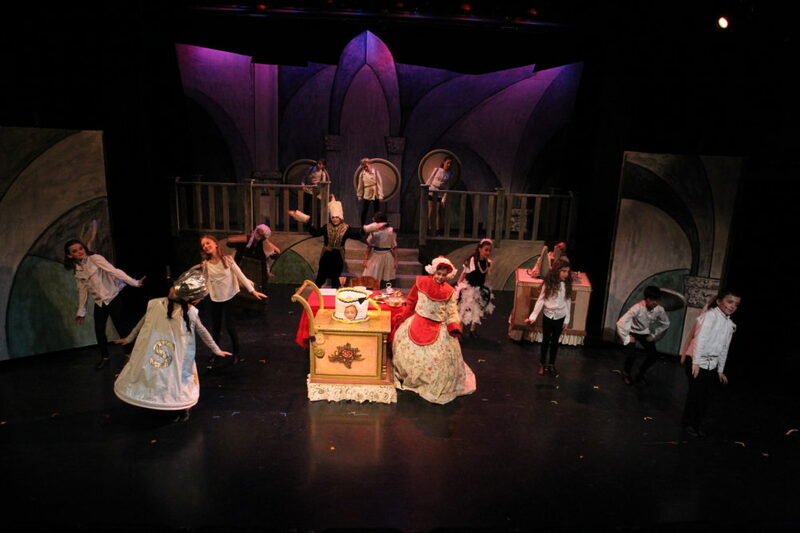 Each Troupe show is carefully chosen in order to provide as many roles as possible, and principal roles are double-cast whenever possible (meaning two students share the same role and alternate performances). An invaluable component of the Bravo Academy Music Theatre Troupe Program is the ensemble training. Every student will participate in ensemble numbers, either on their “off-night” (when they are not playing their principal role) or as part of their track (their unique series of roles over the course of the show). Playing an ensemble role builds well-rounded performers and builds skills essential to a professional career in music theatre, including teamwork, dance ability, and choral singing. Punctuality and attendance are our two highest expectations for students, and can often make or break the success of a show. All Troupe rehearsals are held at our state-of-the-art facility, in the Zlotnik Studio Theatre, which offers ample space for staging and choreography. The rehearsal schedule is overseen by a full-time Production Stage Manager and posted on Student’s Corner, our password-protected webpage just for Troupe students. Student’s Corner is where you’ll find not only detailed rehearsal schedules, but also choreo videos and music tracks to help you practice at home. If you need additional help, the artistic team is available for one-on-one coachings, to get you caught up and feeling confident on your material. Our staff also provide twice-annual progress reports for students to get valuable feedback, and are always available to talk by email about how to get keep improving your craft. 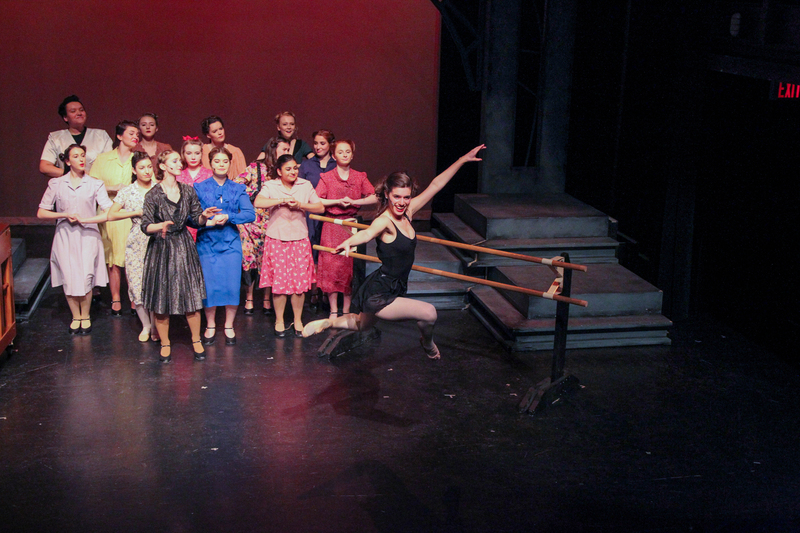 Tech week and performances are the most nerve-wracking and most exciting part of the process! 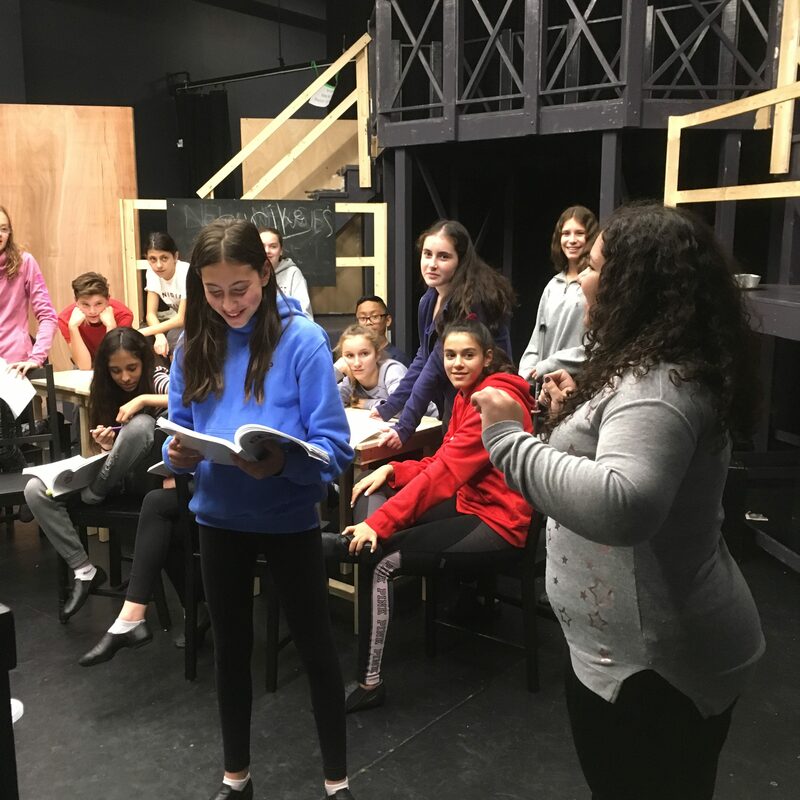 So many things happen once we move into the theatre, so it is mandatory that all students attend all tech rehearsals, dress rehearsals, and performances, to ensure the success of their show! Once we move into the theatre, students will see their show come together with full lights, sound, set, costumes, and hair and make-up. We are pleased to work with a team of professional designers, including many Dora Award-winning artists. 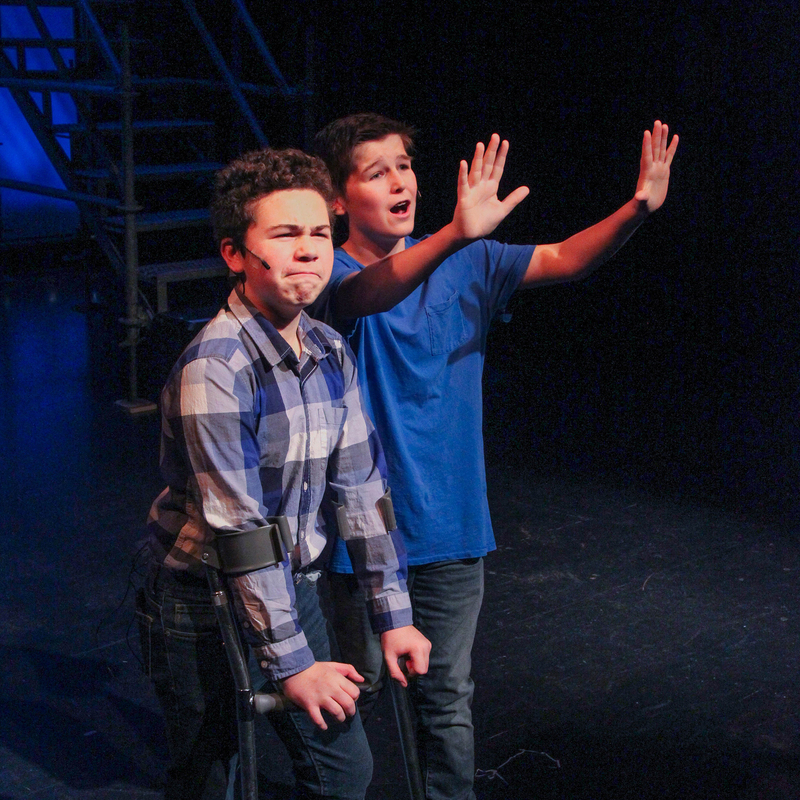 Students work with microphones and set transitions, which brings their show fully to life! 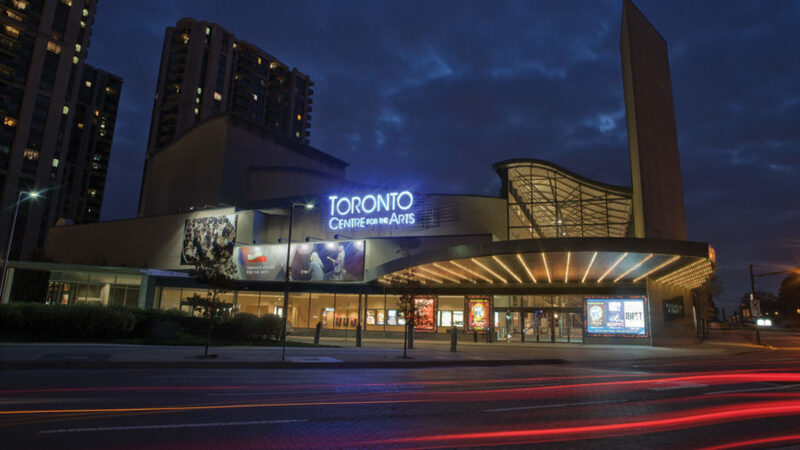 All performances are held at the beautiful Toronto Centre for the Arts in North York, in their intimate Studio Theatre. The theatre is professional managed, with a fully-staffed box office and snack bar, and ample parking. Performances are professionally photographed – a great addition to an aspiring professional’s portfolio! 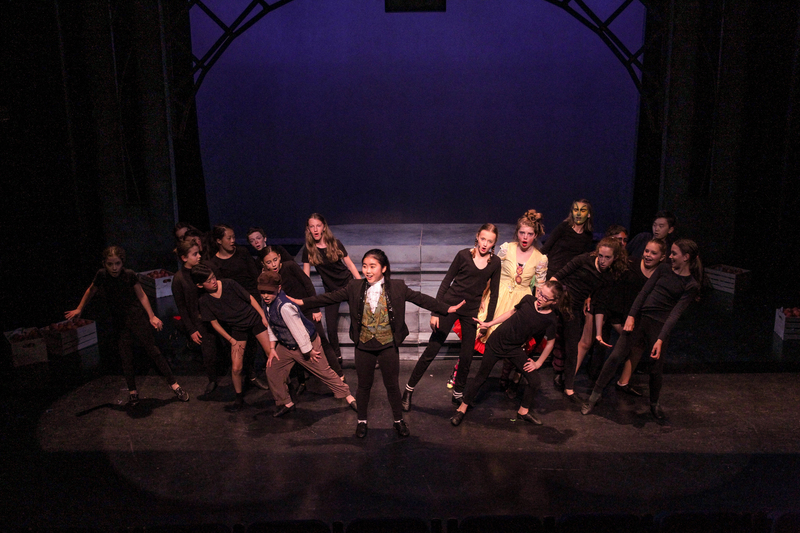 Bravo Academy produces more musicals than any other performing arts school in the Greater Toronto Area – which means it doesn’t just stop at Troupe! 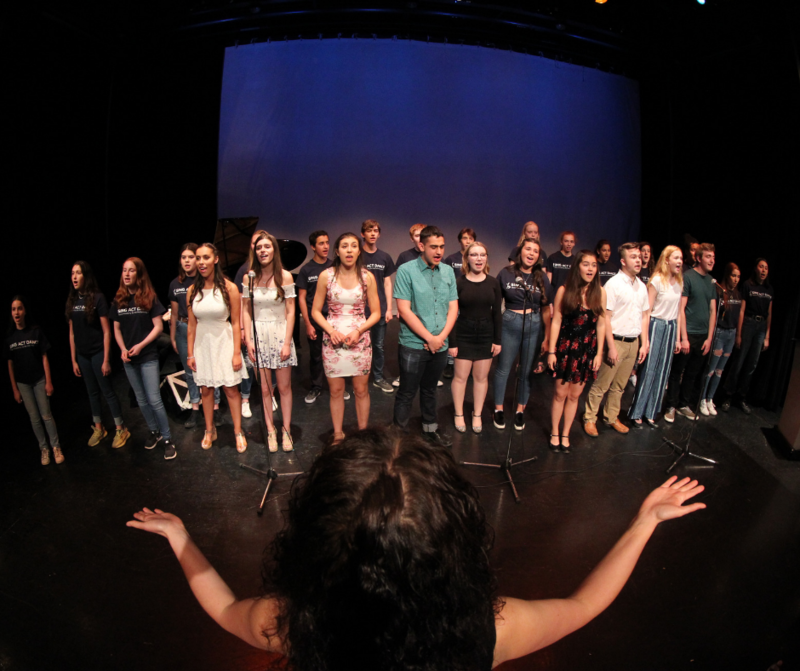 Many of our students extend their studies with private lessons in voice, piano, or guitar; participate in March Break and Summer camps; and audition for our New Music Theatre Intensives focused on new and contemporary musicals. 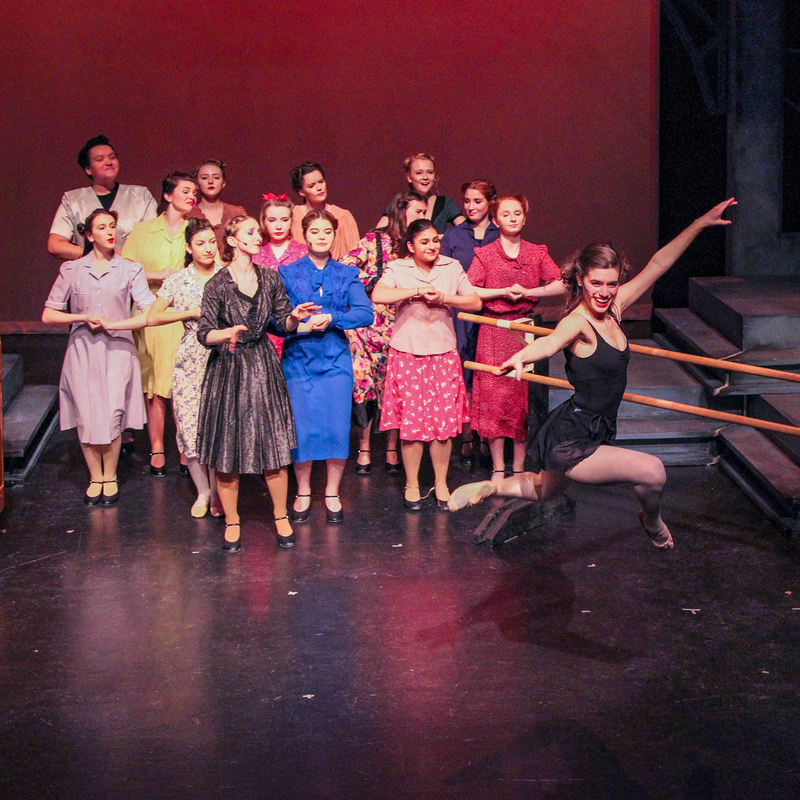 We are also thrilled to produce over 25 unique productions every year, including private lesson recitals, music theatre class shows, fundraiser concerts, teacher concerts, cabarets, and of course our Annual Gala! We always have something coming up! 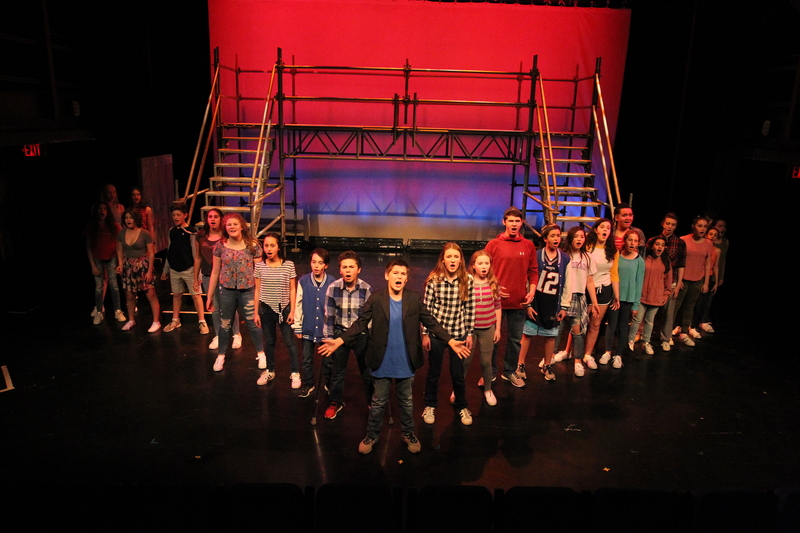 We offer masterclass workshops specifically for our advanced music theatre students, in subjects such as vocal performance, vocal health, dialect work, audition skills, and writing for music theatre. If you are interested in meeting with an agent for your child for professional film, television, and stage work, we can help connect you with the right match. 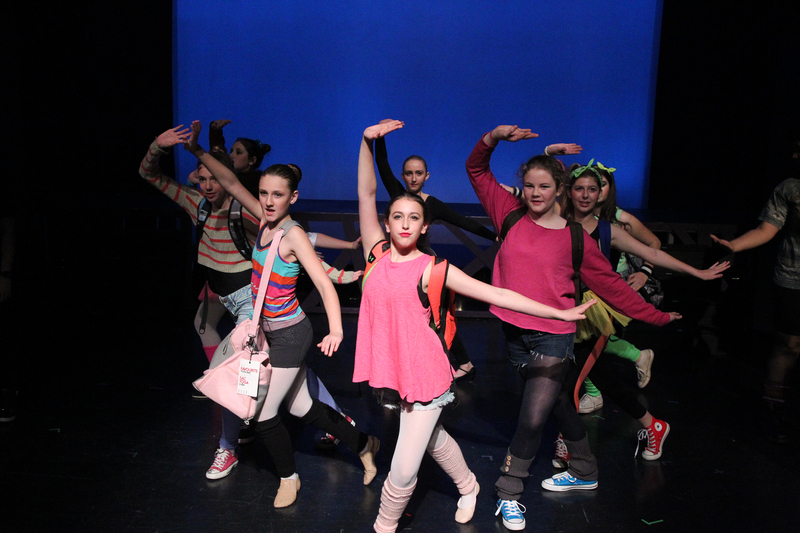 We can also advise on post-secondary preparation, choosing the right school, and audition preparation.